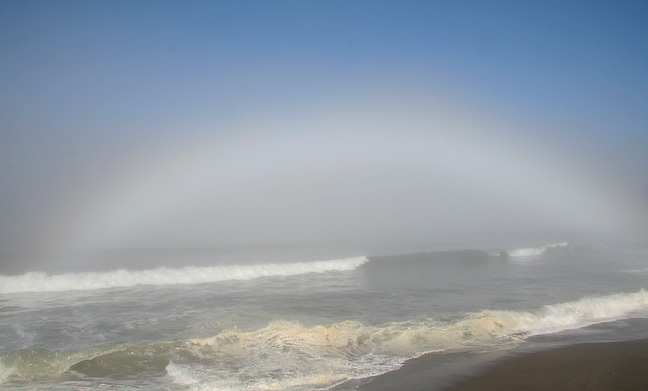 A more accurate name might be "Fogbow over the Pacific". This is a very unusual atmospheric phenomena, resulting from sunlight striking fog droplets which are so tiny that they can not act as prisms as larger droplets do in a colored rainbow. This is the only fogbow I have seen during my 4 years of living on the ocean.